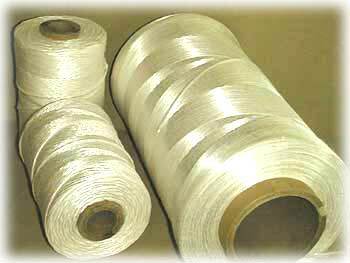 JUTE yarn for electric cable filler continues to be a major product in our line up. 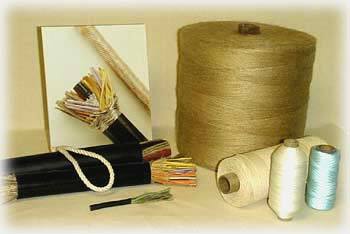 To efficiently serve the North American wire & cable manufacturers, we stock JUTE filler yarns in our warehouses in New Orleans, and in the Boston area. 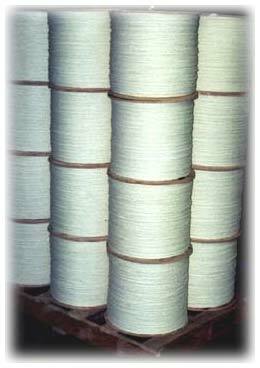 In addition to JUTE filler yarns and roving, we also supply twisted paper & polypropylene fillers. Illustration shows how Hurlbert Company fillers enable cable makers to produce a firm yet flexible cable with perfectly round cross-section. 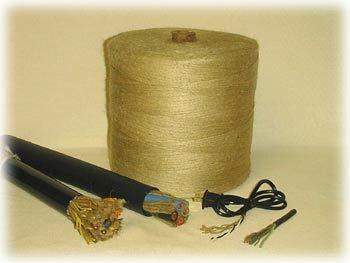 The Hurlbert Co. product line for electric wire and cable makers has expanded to include natural and synthetic serving and braider yarns. Foamed, fibrillated polypropylene cable fillers provide high bulk/low density for relatively low cost and have become very popular with wire and cable manufacturers. Illustration shows typical put-ups for these fillers. 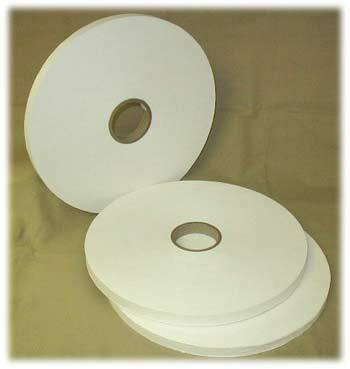 Our paper fillers are supplied on large wooden spools, providing long runs between change overs. A pallet of twisted paper filler ready to be shipped to a customer. This economical product is widely used in flexible wire and cable manufacturing to provide a barrier between the jacket and the insulated conductors. The standard put-up is 20" pads with a 3" I.D. core and comes in a range of slit widths. 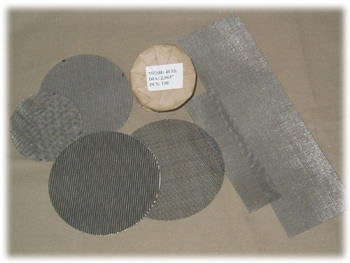 All insulated wire and cable manufacturers require extruder screens. We offer a complete line of stainless and plain steel screens in a wide variety of shapes and mesh sizes, plain or twilled in standard or Dutch weave. These are readily available from stock in most cases. We can also supply multi-screen packs and other metals. Call us with your special needs.